Very often, the spec challenge with smartphones has to do with the hardware to make things run faster and run longer. We have seen a race to make faster CPUs, higher resolutions screens, and longer battery life. The weight of a device plays a role too. Some might argue that it is not as important a feature, but it is still relevant since it can subjectively affect one’s experience with a device, just like screen size or perceived hardware performance. India’s XOLO is known for making a wide variety of appealing, and affordable, hardware for its home market. A little over a year ago, XOLO touted introducing the “fastest smartphone ever,” with a 2GHz Intel processor behind the Android powered X1000. XOLO announced plans to make a Windows Phone 8.1 device before the operating system was officially announced by Microsoft. The Times of India is reporting that not only will this new Windows Phone be reasonably affordable at roughly ₹12,000 ($200), but it will also be very light, under 100 grams (just 3.5 ounces). The device will also have a 4.7-inch screen and will be powered by a quad-core Qualcomm Snapdragon 200 processor. By way of comparison, the Samsung Galaxy S4 mini tips the scales at a feathery 107 grams (3.7 ounces). That is with a 4.3-inch screen and 1900mAh battery. One can glean then that XOLO will have to keep things very lean, and possibly keep the battery on the smallish side. That also means that this Windows Phone will probably be quite thin, though there is a point where things can get too thin to comfortably hold and operate. So how about that? Do you favor an ultra-light design? As battery life and performance has typically been a primary concern for many manufacturers, is device weight a big deal to you too? Hey that's the same weight as my Xperia Ray! So what is so great about this? 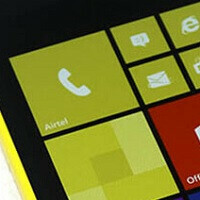 Doesnt Nokia already have Quadcore Snapdragon 400 and 800 processors in their mobiles? Well...we are talking about lightest smartphonE here. Being an Indian, you should be ashamed of you saying ''what's great about this'' when an Indian company is innovating. I loathe Indians like you. Ummm. Which part of this mobile did an Indian company innovate? They are selling more than ever before. bring them to the states please. Btw Micromax announced 2 new Windows Phone devices. "The weight of a device plays a role too. Some might argue that it is not as important a feature" Actually, I've wanted to argue for some time that it's an important and overlooked feature. I like my phone light when holding it in one hand to read. Just get ready to see WP everywhere.. Just get ready.